This page shows the latest Norgine news and features for those working in and with pharma, biotech and healthcare. 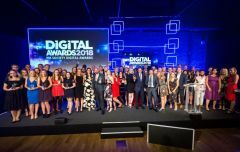 The awards culminated with the inaugural Pharma Digital Partner award which was won by Norgine’s Kym Jacks Bryant who beat finalists Mary Andrews from GSK and Kasper Kofod from Novo ... Insypher Ltd. Pharma Digital Partner. Kym Jacks Bryant (Norgine). Global Lung Cancer Coalition, Norgine and Roche. The joint venture is owned 50 per cent Norgine and 50 per cent SpePharm. ... It will be interesting to see if there are further developments from Norgine or other companies along these lines.